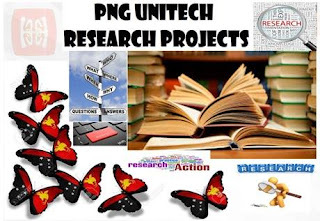 Students and staff at the University of Technology will have privileged information about anti-money laundering and counter terrorist financing under an educational forum that the newly established Financial Analysis and Supervision Unit of the Bank of Papua New Guinea will be conducting in Lae tomorrow. This is part of an awareness program the Central Bank is conducting for financial institutions, non-financial businesses and professions including lawyers, accountants, real estate agents and car dealers operating in the province about its new functions and developments. The educational forum at the university is part of the awareness on “Anti-Money Laundering and Counter Terrorist Financing Reforms that the government has undertaken to meet international standards and requirement. According to the BPNG, in order for PNG to meet the internationally-accepted standards for the Financial Action Task Force, PNG has recently passed and certified five suites of legislation to combat money laundering and terrorist financing. This awareness is an opportunity for students and staff to be made aware of the Central Bank's functions as well as professional prospects for employment in industries for students especially from the Business Studies faculty.